I’m delighted to welcome Jenny Tonks as my guest blogger this week. 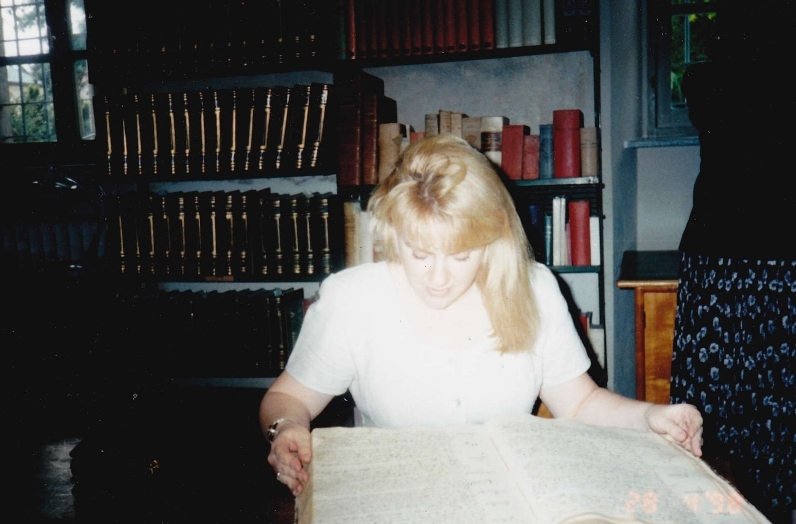 Jenny is an Accredited Genealogist for Italian research. She works as an adjunct professor of Family History at BYU-Idaho and teaches high school biographical writing classes. She is also a memoir reviewer for a literary agent in New York. I ran across Jenny’s genealogy website when I was doing some of my own research, and found helpful ideas there for my family research. If your travel plans include searching for Italian roots, you’ll want to see what she has to share! One of my most memorable trips to Italy involves not the food, the scenery, the fashion, or the people. It involved stacks and stacks of paper! I’m talking about my first visit to a diocesan archive. I was a college student and former resident of Italy at the time, finishing up my degree in Italian Family History at BYU. What I learned in that archive changed my career. It also helped me solve many Italian family mysteries over the years! When looking for Italian ancestors, there are two basic sources that I consult most often: Italian government records and Catholic church records. Most of these records are available in the United States as microfilms that can be rented through FamilySearch.org. The government records are great, but they only go as far back as the early 1800’s for most towns in Italy. Church records, however, can go back as far as the 1500’s in Italy. Getting at government records is easy—government offices are expected to make their data available to the public. But getting my hands on parish records? Not so easy! I’ve been turned away by more than a few priests who either refused to grant me access to their church records, or who never responded to written, faxed, emailed, or telephoned requests for ancestral information. But I don’t hold it against them—churches aren’t expected to turn over information the way government offices are. And why should they? Why should busy parish priests have to stop whatever they’re doing every time an American researcher or tourist comes to town, wanting something for the old scrapbook? In many cases, I’ve found sparsely staffed parishes simply to busy/apathetic to admit me into their archives or respond to my written requests for ancestral information. They’re too busy tending to their flocks, and I understand that. No problem—I can always go to the diocesan archive! Generally speaking, I have found most of the clergy who work in these archives to be passionate historians that enjoy looking up ancestors and sharing historical information. They are also more tech-savvy than your typical small town priest, so more willing to photocopy, scan, or email me information. 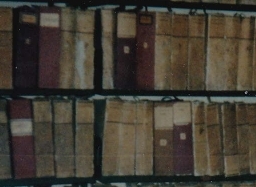 So when I can’t get information about an Italian American client’s ancestor from a parish in Italy, I contact the curia vescovile or the archivio diocesano (diocesan archive). FamilySearch.org has films of diocesan archives for the cities of Parma, Rome, Trento, and Catania that are available to researchers in the United States. They are updating their holdings daily, so to find out if diocesan records are available in the US for your ancestral town, ask the experts at the FamilySearch Italy Genealogy department, via their Facebook page or their research Wiki. The day I first visited a diocesan archive, I discovered a key to identifying one’s Italian ancestors that has helped unlock the secrets to many Italian pasts. If ever I can be of help to you, you can tweet me, friend me on Facebook, or send your questions to my Ask a Genealogist site, where I give free research advice. This entry was posted in History, Travel and tagged family history, genealogy, Italy, Jenny Tonks, travel. Bookmark the permalink. 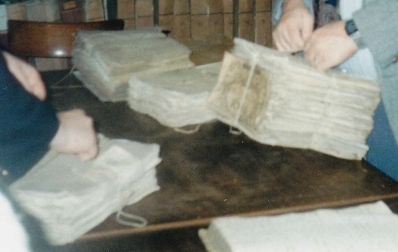 Excellent post about searching diocesan and municipal records. In many cases, the latter are in better condition and easier to read and evaluate as I discovered during the research on my book, Custer’s Bugler: The Life of John Martin (Giovanni Martino). He was born in or near Sala Consilina, and left on la ruota as a newborn. A kindly mayor had it him baptized and named before placing the baby into the home of a wet nurse. Before coming to America in 1873, Martino marched as a drummer boy with Garibaldi. Within three years of his arrival, Martin (his name anglicized during enlistment) found himself riding with General George Custer at the Little Big Horn; moments before Custer launched his fateful attack, he sent Martin off with a last desperate dispatch requesting reinforcements and ammunition. Martin survived and continued to serve another 30 years in the Army (including the Nez Perce Indian Wars and the Spanish-American War). A short stint as a family man in Baltimore failed, and he moved to Brooklyn and began employment as a ticket-taker on the NYC subway system. Over the course of 60 years, he lived in three very different eras (rural southern Italy, the wild west and modern Manhattan) while riding and marching with Garibaldi and Custer. I think Jenny Tonks is possibly one of your greatest finds, Sandy. Part of her blog reminded me of Scigliano and our own search with that unwilling curator who over the years had become one of those dusty tomes he was reluctantly searching through until ureka! he found my grandparents marriage certificate!! How happy we all were, including that once crabby guy. What a great memory. Brava Jenny Tonks. Isn’t Jenny a gem?! I’m formulating a question or two to pose on her free genealogy help page!